The first departure from The Wharf to National Harbor is 7:15 a.m., and the first departure from National Harbor to The Wharf is at 8:15 a.m. The one-way trip takes about 35 minutes. 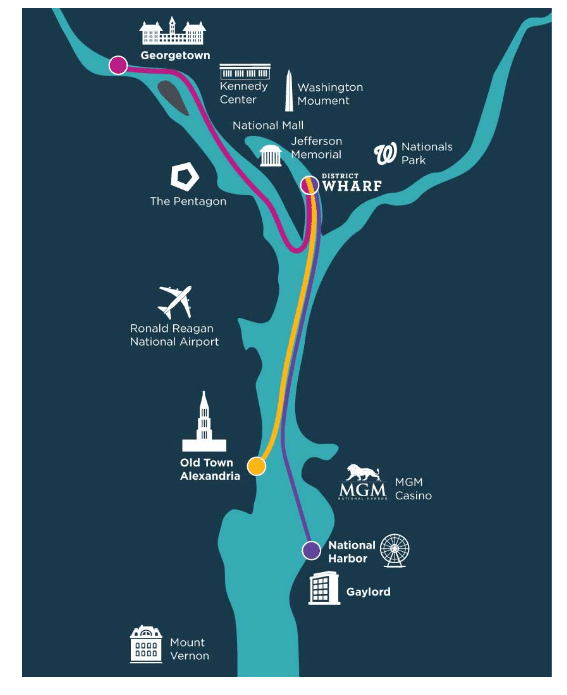 WASHINGTON — The Potomac Riverboat Company starts water taxi service from The Wharf to National Harbor on Thursday. 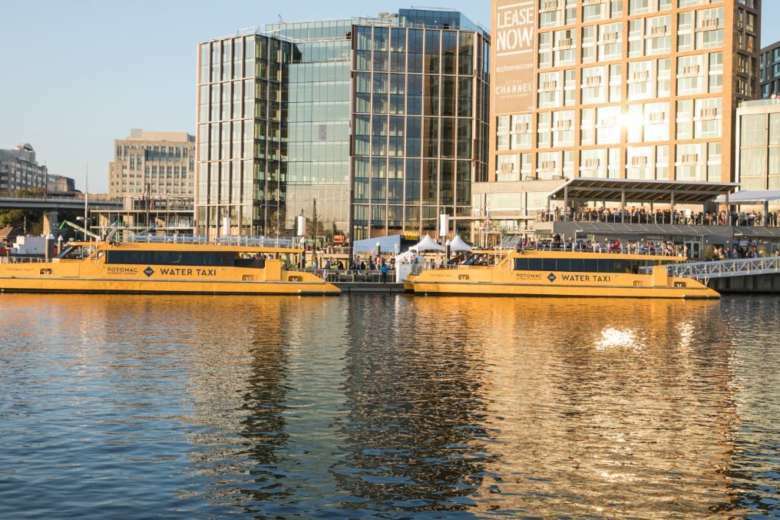 The water taxis began service from The Wharf to the Georgetown Waterfront and Old Town Alexandria during The Wharf’s grand opening in October. Potomac Riverboat Company, acquired by Chicago-based Entertainment Cruises in 2016, operates four water taxis from The Wharf, each with a capacity of 150 passengers. Water taxi rates start from $20 round trip, with season passes priced at $175 aimed more at commuters than recreational passengers. The first departure from The Wharf to National Harbor is 7:15 a.m., and the first departure from National Harbor to The Wharf is at 8:15 a.m. The one-way trip takes about 35 minutes. The last boat departs from The Wharf to National Harbor at 10:50 p.m., and the last boat from National Harbor to The Wharf departs at 11:40 p.m. The Potomac Riverboat Company water taxis depart from Transit Pier, near The Anthem music venue. In addition to the water taxi services to National Harbor, Georgetown and Old Town, The Wharf itself operates The Wharf Jitney, a small, electric-powered ferry that shuttles passengers to East Potomac Park and Hains Point in about three minutes twice an hour. The Jitney, which is both dog and bike-friendly, is free.